Focused strategy pays distribution and secures a healthy Waterfall pipeline of commercial and industrial developments, a key driver of future distributable earnings. The Attacq strategy continues to focus on our core assets and competencies with the objective to deliver sustainable income and capital growth through a disciplined approach to investment at Waterfall and strategic retail and mixed-use precincts in South Africa, the Rest of Africa and in Europe via MAS. Attacq’s focused approach ensured the successful conversion to a REIT in May 2018 and a maiden distribution of 74.0 cents per share, in line with our guidance to the market. In a very challenging market, Attacq recorded solid improvement on all key metrics for the year with distributable earnings increasing by 280.7%, mainly due to completed developments generating additional rental income and lower finance charges. Total return on a like-for-like basis of 8.6% was recorded and we expect it to increase in the future as the Waterfall precinct is developed and non-core assets are recycled. We managed to increase net asset value by 22.2%, and overall gearing improved to 35.8%. Our interest cover ratio improved to 1.6 times and we are well on track to achieve our medium-term goal of 2.0 times. The Mall of Africa performed very well in its second year, with tenants benefiting from higher footcount which improved trading densities. 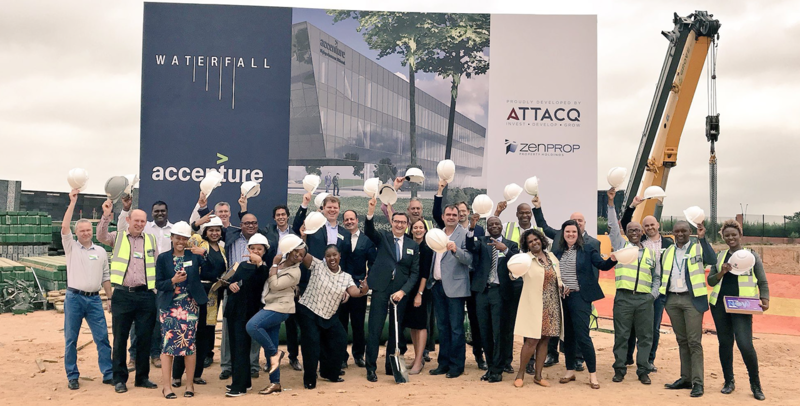 The launch in this 2019 financial year of our first residential development in the Waterfall precinct will further enhance Waterfall City’s attractiveness as an investment destination, providing valuable growth opportunities for retail tenants in the current economic environment. Attacq has a healthy pipeline of future commercial and industrial developments in the Waterfall precinct. Behind these achievements is an outstanding management team, giving the company a real competitive advantage in a very tough market. Other key achievements in the review period included the seamless transition to a new management team, with Melt Hamman appointed as chief executive officer (CEO) and Raj Nana as chief financial officer (CFO). These and other internal senior appointments reflect the strength of our succession planning. This integrated report is an important element in engaging with stakeholders, and our improved disclosure saw Attacq move from ‘good’ to ‘excellent’ in the benchmark EY Excellence in Integrated Reporting awards – one of only two property companies on that level. In the face of structural and cyclical challenges, the lack of growth in the South African economy remains a major concern and there seems to be little prospect of this trend being reversed in the short to medium term. Years of economic mismanagement, continued policy uncertainty, fraud and corruption, lack of public-sector capacity, the poor financial position of large state-owned entities, increased unemployment, crime and deteriorating education standards continue to drive down business and consumer confidence, resulting in a lack of investment and consumption. Real leadership, willing to make tough decisions, is required to restore the trust and confidence for economic growth to become reality. Business and the public sector urgently need to start to co-operate and work together to address structural inefficiencies and restore investor confidence. Our South African portfolio: Attacq has a high-quality operational portfolio of retail, office and mixed-use, hotel and industrial properties. Management is focused on optimising these core assets. Our Waterfall development: Attacq’s core competency and strategic advantage is our ability to create lasting value from, arguably, the best development opportunity in South Africa. Capitalising on our European investments through the experience and knowledge of our MAS investment, which provides specialised focus, mitigates the risk of spreading our resources too thinly and enables management to focus on our core assets. The rest of Africa retail investments and working with our co-shareholders to optimise returns from retail investments in the portfolio. In uncertain times, a focused strategy provides clear direction. Management is, however, well aware that it is not ‘business as usual’ and we need to be very astute in allocating capital and continually reviewing the performance of all our assets. Optimising Attacq’s balance sheet is key to ensuring long-term growth and appropriate returns for shareholders. Our performance matrix and reward systems are aligned with our strategic objectives. These enable the board to proactively drive strategy implementation and performance. We are committed to managing our natural resources efficiently and responsibly. The key challenges at present are the cost and security of supply for both water and electricity. While our new developments meet world-class standards of environmental efficiency, reflected in numerous certifications for ‘green’ buildings, managing water and electricity consumption in our older assets is more challenging. Where practical and affordable, we have retrofitted lighting, air-conditioning and water systems to optimise re-use and recycling. This is an ongoing process that requires careful attention to balancing the trade-offs between capitals, particularly the natural and financial capitals, but we are committed to the process as a responsible corporate citizen. We continue to invest in our local communities through the corporate social investment initiatives of our individual assets. Given the state of the South African economy, the most pressing need articulated by these communities is employment. In response, we are creating jobs by providing training and funding through the Attacq Foundation. We are committed to engaging with these stakeholders to determine real issues and collaboratively develop appropriate solutions. Similarly, we understand the importance of promoting broad-based black economic empowerment (B-BBEE) through transformation. Attacq has a level 2 B-BBEE rating under the new property sector charter. Additional requirements after converting to a REIT, and the reduced stake of our main B-BBEE shareholder, may affect this rating in future, but we are focused on improving our performance in elements under our control. This is in Social and relationship resources. Ahead of our REIT conversion and in line with King IV, we further strengthened the capacity, depth of skills and diversity on our board. We appointed a lead independent non-executive director, the experienced Hellen El Haimer, and a new independent non-executive director, Ipeleng Mkhari, and look forward to their contributions in these roles. All committees are structured and resourced to effectively support the board in meeting its mandate. We welcome Melt Hamman in his new role as CEO, after Morné Wilken resigned to become CEO of MAS in January 2018. We are indeed grateful for Morné’s valuable contributions over his eight years in office and wish him well in his new role. 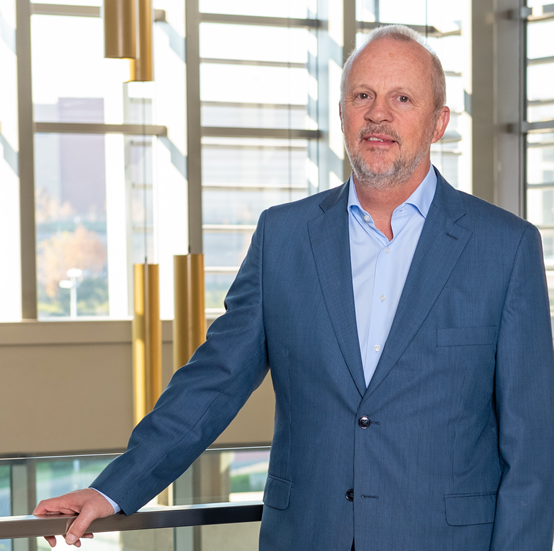 Following a rigorous process, we appointed Melt Hamman as permanent CEO in June 2018. During his six months as interim CEO, he provided clear direction and guidance to the team, building on his strong history of creating and leading highly engaged teams since joining the company as CFO in 2013. The board believes that his track record with Attacq and extensive experience in the property sector positions him well to lead our company to the next level of growth and development as it matures as a REIT. Raj Nana was appointed CFO and executive director in June 2018. A chartered accountant with investment banking and real estate experience, Raj joined Attacq in 2014 as investment officer and the executive management team in 2016. Our chief operating officer (COO), Jackie van Niekerk, also joined the board as executive director during 2018, contributing further real estate experience. The board’s performance is externally reviewed every two years. The latest evaluation (2017) concluded that the board functions well and the skill set is appropriate. Refer to the corporate governance report for more detail. Our stakeholders remain the cornerstone of our business. Each group contributes in different ways to our success, and has different requirements. How we anticipate and respond to these requirements contributes as much to our sustainability as our financial results. Additional statutory requirements are imposed on a REIT. Equally, as a responsible company, we have adopted voluntary standards to further benefit our stakeholders – particularly our people, our communities and our tenants – as detailed under the relevant capitals in this report. The board’s primary responsibility is strategy and ensuring that management delivers on the strategic objectives of sustainable growth in distributable income and capital for shareholders. In addition to distributable income growth and total return as strategic objectives, the board included a minimum interest cover ratio, Waterfall bulk roll-out and long-term transformation targets for management (see our strategy). As such, we continue to focus on protecting our shareholders’ investments while creating lasting value for all stakeholders. In achieving these multidimensional goals, we need to find the right balance between managing factors outside our control, such as the poor performance of the local economy and factors we do control like optimising our balance sheet. Attacq is strategically focused for sustainable growth because we are actively involved in both property management and property development. Combined with our thorough understanding of asset management, this will serve us well for the long term. Attacq has collective strengths: a quality portfolio of assets, an unrivalled development pipeline, expert management team and a strategy focused to deliver sustainable income and capital growth. In addition, competitive remuneration structures attract and retain skilled professionals focused on performance, while corporate policies align the interests of management and shareholders. On behalf of the board, I thank all our stakeholders for their continued support. Attacq is home to a formidable team. Under Melt Hamman’s leadership, we are confident of the team’s commitment, expertise and ability to deliver our strategy and create value for Attacq shareholders. I also thank all my fellow directors for actively participating in robust debate, at board and committee level, and your willingness to make tough decisions to ensure we collectively meet our responsibilities.